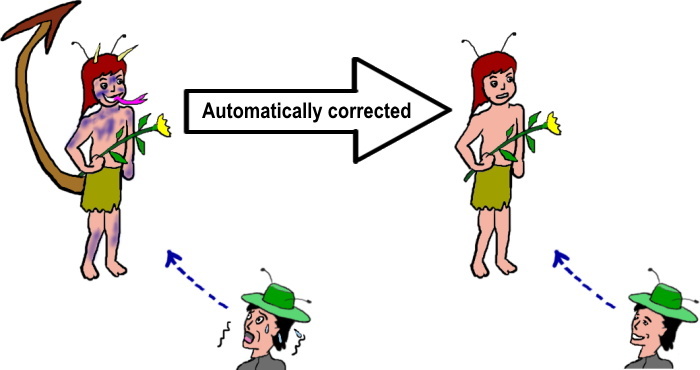 The correction is done automatically and naturally. Thus recognition is automatically corrected in one's heart. When his/her percpetion is changed, his/her emotion towards the people who are different from them also changes.